Roofing systems play a key part in stopping the spread of fire both in and outside a building, and nowhere is this more important than in schools. Fire protection systems, whether passive or active, tend to deal almost exclusively with protection against and containment of fires that originate either inside a building, or have already found its way in. They do not take into account the threat of fire originating outside the building from say an arson attack where a method of first defence is critical. 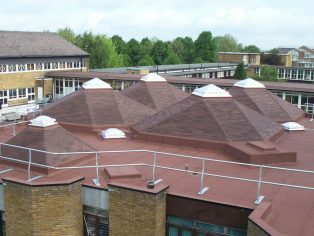 UK building regulations require roofs to protect against fire penetration into the space below the roof and the spread of flames across the surface. Ultra prevENt roofing membranes developed by IKO PLC have been designed to act as an important first defence against the ingress of fire through the roof structure courtesy of graphite technology, which gives the highest fire performance without affecting the primary waterproofing function or life expectancy. The graphite works as a flame retardant as it undergoes an endothermic reaction, drawing heat from the combustion process. In the event of a fire that is external to the roof, the graphite swells, creating a ‘crust’ after expansion. This crust forms a barrier against the heat and prevents the fire from penetrating. The ‘graphite shield’ also acts as a smoke suppressant and halts the dripping of molten bitumen from the underside of the membrane. 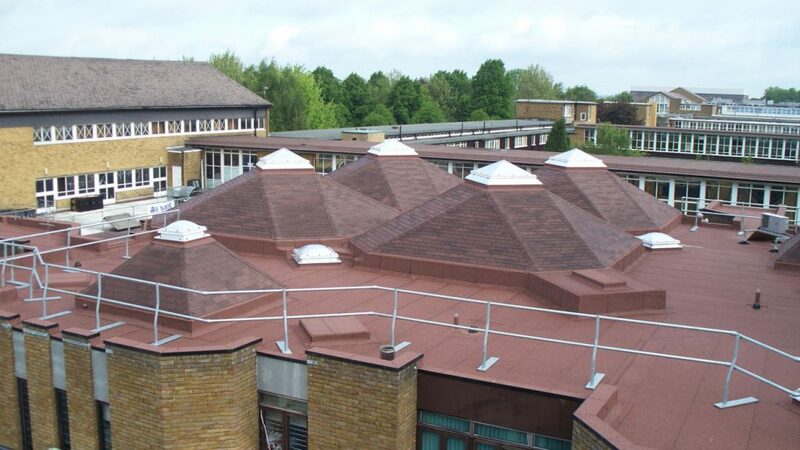 During a recent outbreak of fire at a sixth form school in the Home Counties, the intense heat of fire did not spread across the whole roof. This is because the graphite in the make-up of the Ultra prevENt membrane provided a fire defence and 60% of the roof was saved. With only 40% of the roof having to be replaced, the main contactor had a fighting chance of still meeting his deadline to have the school ready to open for the autumn 2014 term. IKO’s Ultra prevENt provides education specifiers with further peace of mind as it has achieved the highest performance ratings in all sections of European fire tests and is approved by the Loss Prevention Certification Board.